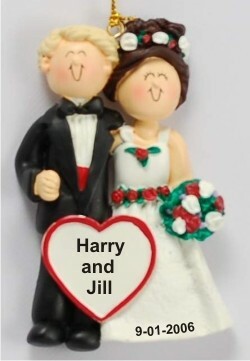 Newlyweds love to display the wedding couple personalized Christmas ornament on their tree, on the refrigerator or other spot where it makes them smile. These wedding ornaments personalized by hand in an attractive font come with names and the date at your option. A decorative golden cord is attached to the wedding couple male blonde, female brown hair personalized Christmas ornament that arrives in our lovely velvet gift and storage bag. 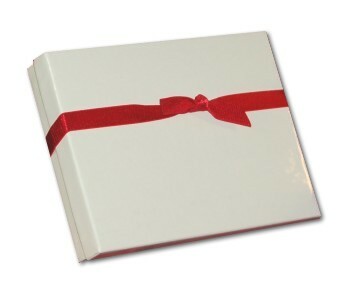 It makes a great gift by itself and is often used as a present topper too.. Celebrating our wedding Dec 31, 2014 Alexxa O.